Clutch free is hassle free. 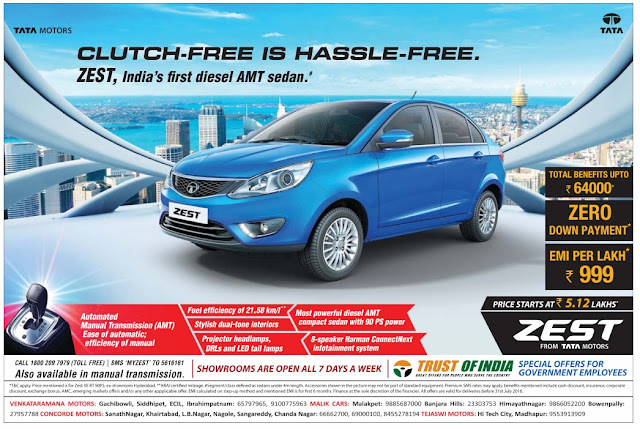 Zest, India's first diesel AMT sedan. EMI per lakh - Rs 999. Price starts at Rs 5.12 lakhs. Call toll free customer care phone number: 1800 209 7979 (toll free). SMS "MYZEST" to 5616161. Special offers for government employees.